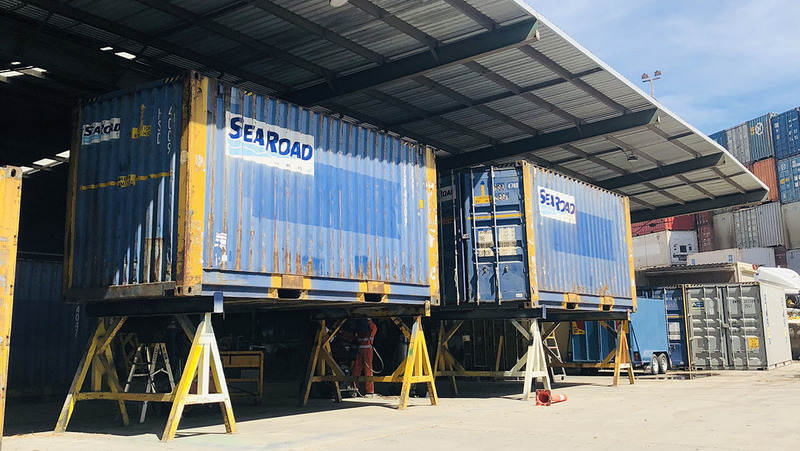 If you need Shipping Container Services the Western Container Depot is close to the Sydney freight terminal and a short drive from Port Botany and the Sydney Rail Depot making us the perfect place to bring your containers for storage, maintenance, repair or modification. Our depot has a capacity of 3600TEU and also boasts an exceptionally qualified and experienced team, so that your jobs are completed to our comprehensive quality control guidelines which mean you will always be happy with the finished job. Our facilities include an undercover repair area to ensure minimal disruptions from weather extremes, to give you confidence that your job will be completed on time. One of our specialities is the inspection, maintenance and repair of your refrigerated shipping containers. We also manage other specialised equipment storage and modifications like curtain-side units, 48ft and side door access units with exceptional precision.